I created this graphic on Washington’s use of federal funds with the help of an amazing digital reporter, Justin Mayo, from The Seattle Times. 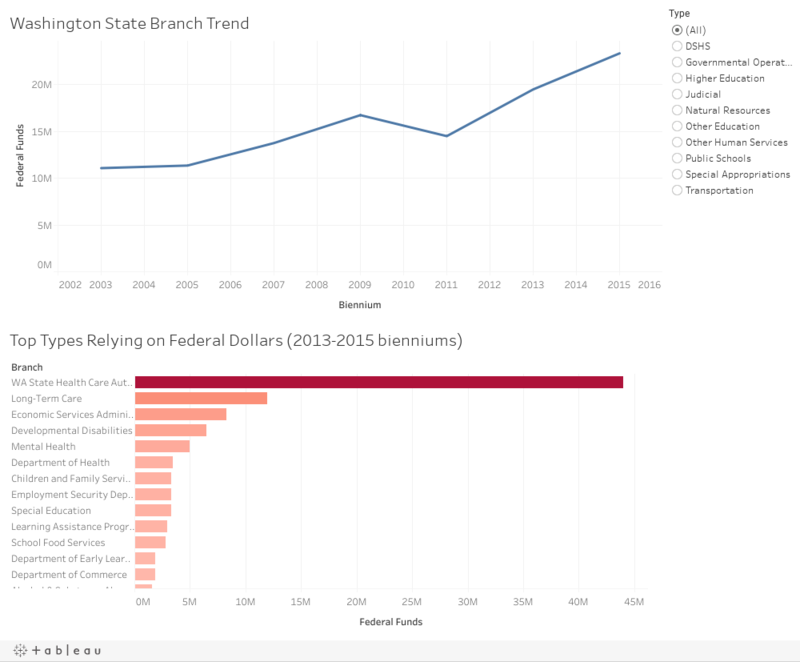 You can see every departmental branch that has received federal funds within the state of Washington, and their subcategories, since 2003. As you might notice, our healthcare system receives the most. The graphic works in that you can put your mouse on the time-trend graph and see how much was used that year/biennium. You can also select for specific departmental branches at the right, which then shows you the time-trend for that specific branch, and breaks down of its programs via a bar graph at the bottom. If you then click one of the program names in the bar graph, the time-trend will adjust to show you that specific program as well. It can be messed around with here.